The document achieves meets those three standards but going beyond that is going to take the kind of co-ordinated effort perhaps never before seen in Canadian soccer and maybe Canadian sport. technical progression with an adaptable and consistent style of play. These are all reasonably sound objectives that all go hand in hand with one another – the oft delayed and even more often promised national curriculum has been given a 90 day deadline. Once it is in place work can begin in earnest on the other action items listed. The second section looks to ensure ongoing support for our national team programs but also hints that Canadian League development will continue to be a priority. Development of leagues like Ontario’s League One are already under way and despite hiccups and delays will likely see the light of day in short order. Nothing overly ambitious but something that does need solid execution. Growth of the Game will be the section that is certain to grab a large part of the chatter due to this line. 3.4 Successfully prepare and submit a bid to host the 2026 FIFA World Cup. The debate will rage right until the day the host is announced if the pursuit of this is a reasonable use of meagre resources. For me unless there is a large untapped source for those funds we’re not ready for this on either a macro or micro level. Some day yes. provincial/territorial organizations, districts and clubs. 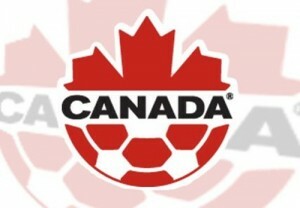 Mandating anything in Canadian soccer structure has never been easy, in fact with the existing structure it’s been nigh impossible but if, and it is the big if, Canada Soccer can implement these three key actions in section four there is a chance we may finally find our way out of the wilderness.